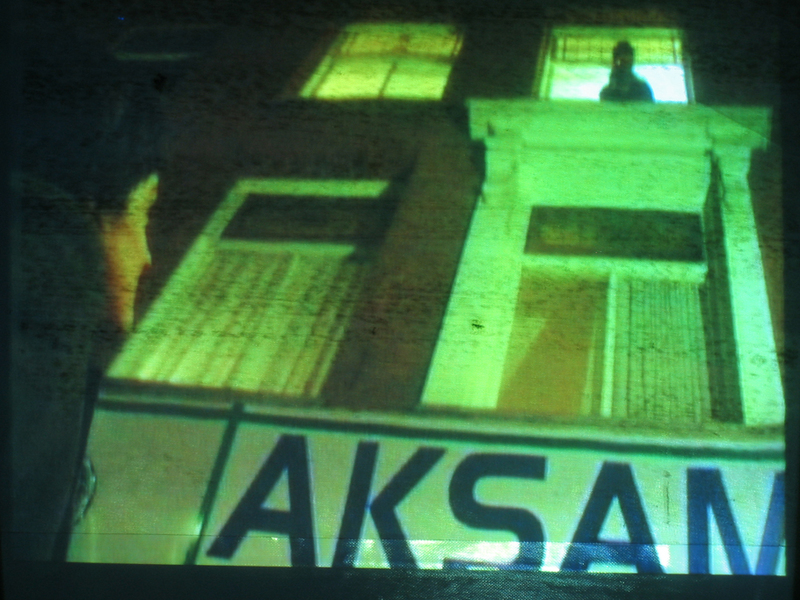 Stains and video-projection on canvas (38x53 cm). 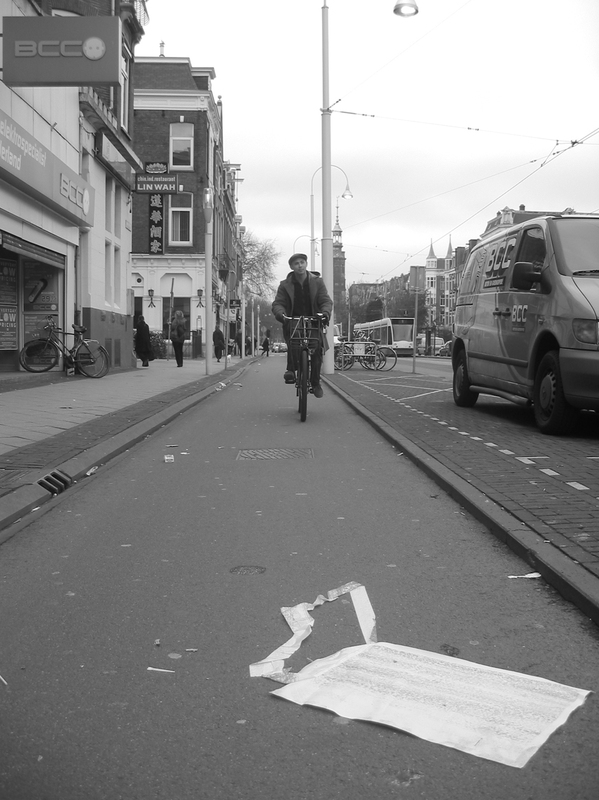 In March 2006, I taped a canvas on the bike-path where THEO VAN GOGH was assassinated. 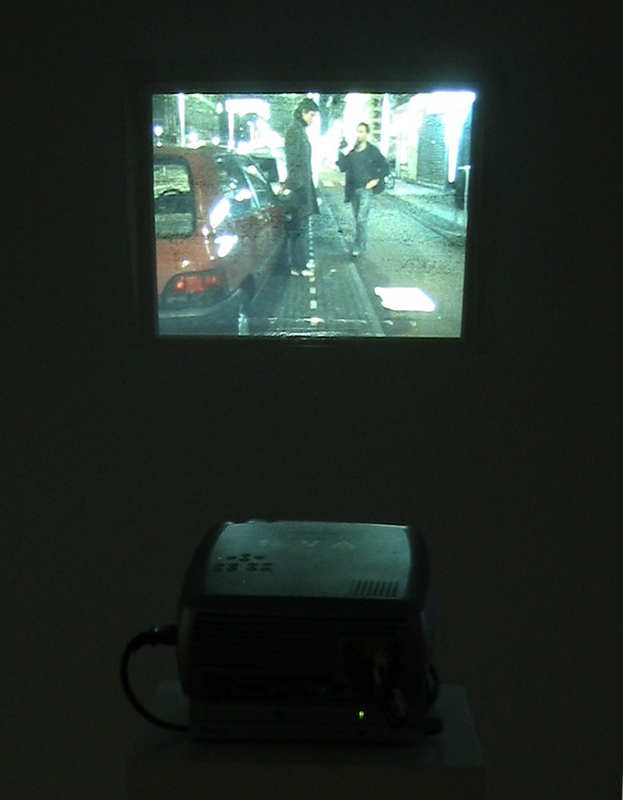 The event was being filmed. A window opened right above us and we were asked to remove the canvas and leave. After clarifying my intentions, he pointed his camera at me. He soon came outside and we relived the moment; he was a film-student and an eyewitness and saw what happened that morning, the 2nd of November 2004. 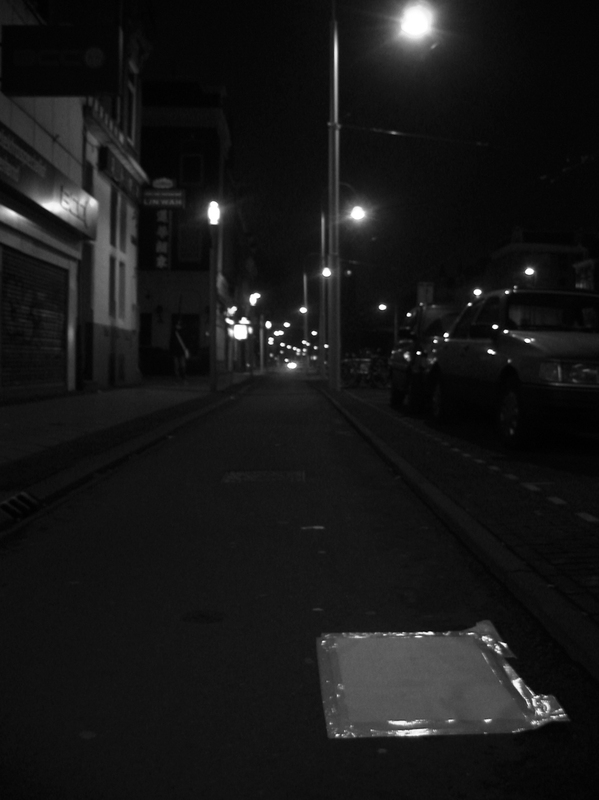 After 12 hours the canvas absorbed traces of bicycle-tracks. 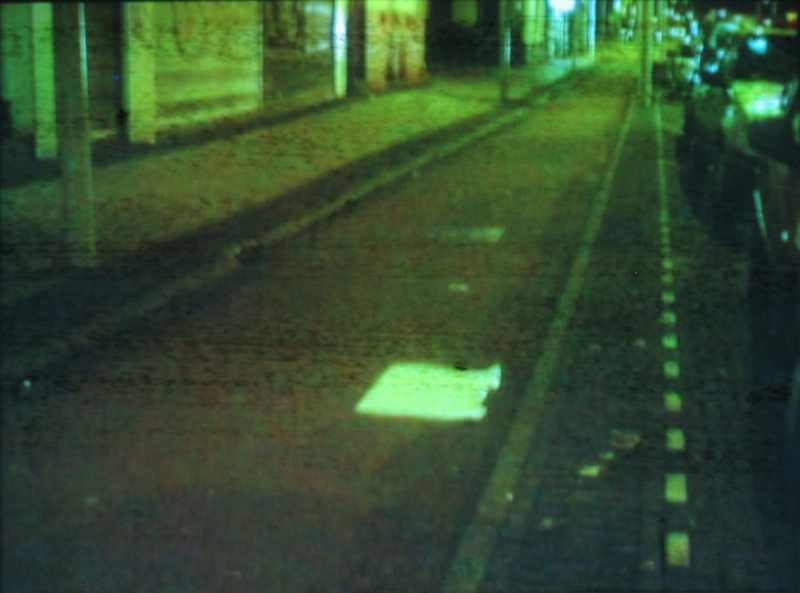 The documentation of my action and the film-student reaction were combined and projected on top of the very same canvas, where bicycle-tracks and the projection converge. To see the video: click on the canvas in the image above or below.